We’ve all been in that situation where your friend sends you a link to an interesting and lengthy article, but you’re too busy at the moment to take the time to read it. With SnoozeTabs, you can dismiss this article’s tab and set a time for when you want the tab to reappear. SnoozeTabs helps reduce clutter on your screen and in your bookmarks so you can focus on what matters right now. 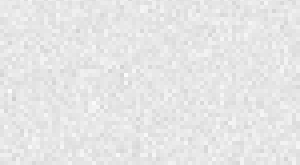 Snoozing a tab is simple. Just click the snooze icon in the top right corner and select from the dropdown menu when you’d like to be reminded. From here, you can also manage your snoozed tabs. When the snooze is ended, the old tab will reappear with the snooze icon and alert you that the page is back. Sweet! 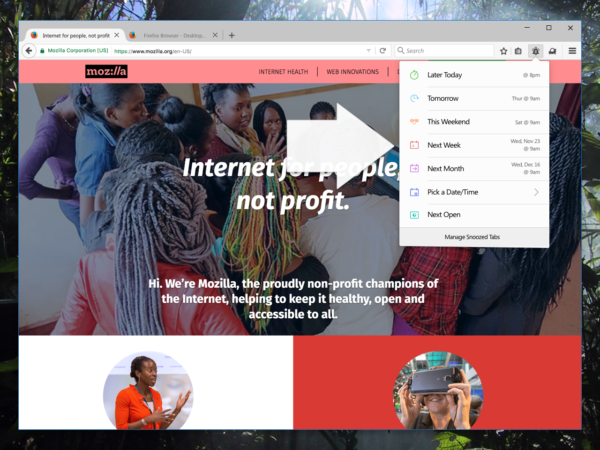 Pulse is a way for you to instantly send Firefox engineers your opinion on which sites work well in Firefox and which sites don’t. Just click on the pulse button in the bookmark bar and rate a site’s performance with one through five stars. 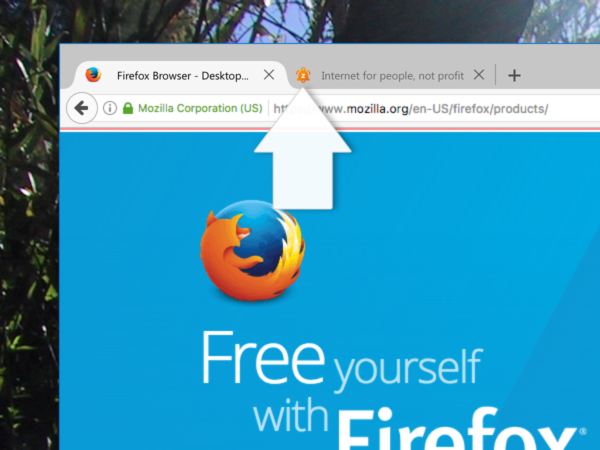 By telling us how Firefox performed on a wide variety of sites, you will help us understand how Firefox is performing in general and also help our engineers understand where to focus their efforts to improve Firefox browser performance. 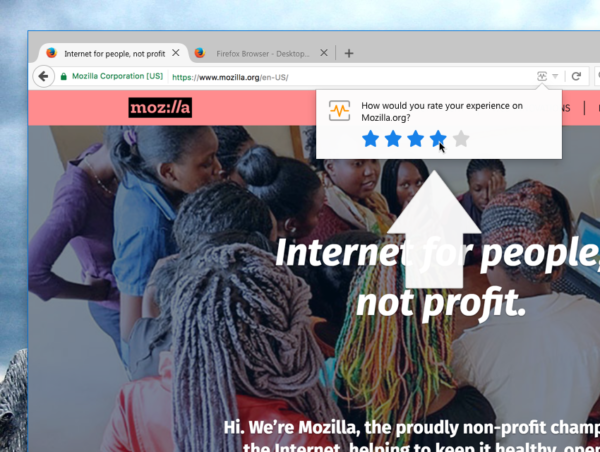 Click on the new Pulse icon in the URL bar and you’ll be prompted to rate the website and answer a few questions – and help us make Firefox faster while you browse. These Test Pilot experiments are available in English only. To activate Test Pilot and help us build the future of Firefox, visit testpilot.firefox.com. Your feedback on these and the other Test Pilot experiments will help us determine what ultimately ends up in Firefox, so let us know what you think!